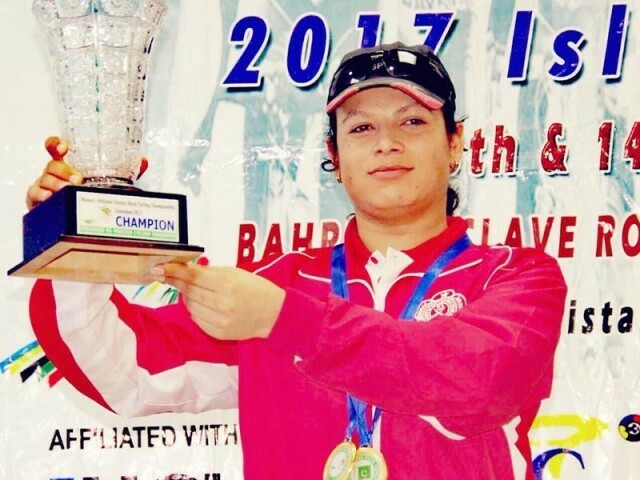 HARIPUR: Four-time national champion and South Asian silver medalist in cycling Sabiha Zahid lost her battle against cancer on Sunday. She was 32. Zahid, who died at a Rawalpindi hospital, was laid to rest in her native village Pinyan of Haripur. Pakistan Cycling Federation officials and Pakistan Army cyclists attended her funeral. Zahid first appeared as an up and coming cyclist for the time in Khyber-Pakhtunkhwa Inter-Divisional Cycling Championship in 2013 where she won gold medal for Hazara Division. After stellar performances, she was selected in the Pakistan Army team as cycling team member. Zahid went on to win the National Championship in individual time trials from 2014 to 2018. She was instrumental in Pakistan Army Cycling team’s win at the Team Championship in Peshawar last year. While she won a gold medal in individual time trials, the international cyclist also won a bronze medal in the Asian Individual Time Trials held in India. Zahid was selected to represent Pakistan in the World Cycling Academy in South Korea, and was a member of the Pakistan cycling team that won silver medal in the Asian Team Championship. Pakistan Cycling Federation’s secretary general Azhar Ali Shah termed her death a great loss to Pakistan, as well as, the cycling world.